Above is an overview of my makeup storage. I have three sets of the draws, a clear lipstick holder and a smaller set of draws. 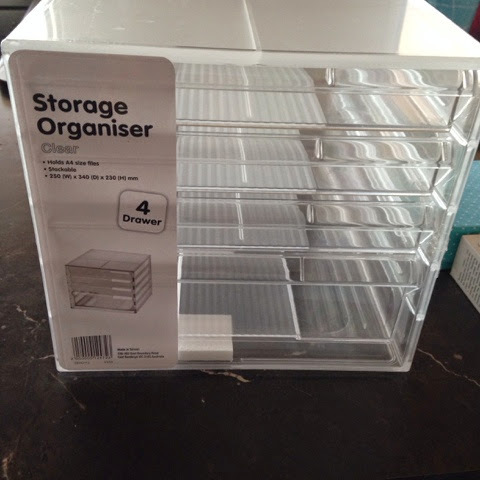 The draws are actually paper storage and you can get either the same ones I have above with four draws the last one being deeper or a five draw one where all the draws are the same size. I opted for the larger draw as I needed the height to put taller items in and it does come in handy. They are not a really thick plastic but they are very sturdy and fit a lot in them I have mine jam packed at the moment and have had no problems with breaking/snapping. These are from Officeworks and you can get the same ones I have here for $16.96. 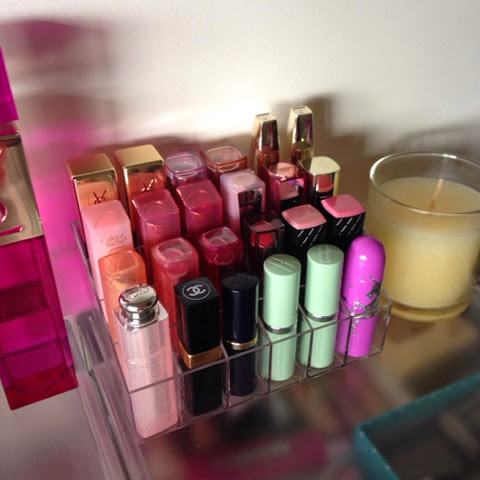 My little lipstick holder is made of clear acrylic and can hold 24 lipsticks. I purchased this off of eBay for around $4.00 including shipping. You can just search makeup storage and they should come up. This small set of makeup draws I also purchased off of eBay and I think I paid $24.00 including shipping. The top section does come off and there is two small draws up the top then two larger draws. These draws are a much thicker plastic/acrylic and are also pretty sturdy they also fit perfectly into the top grooves of my main makeup draws. 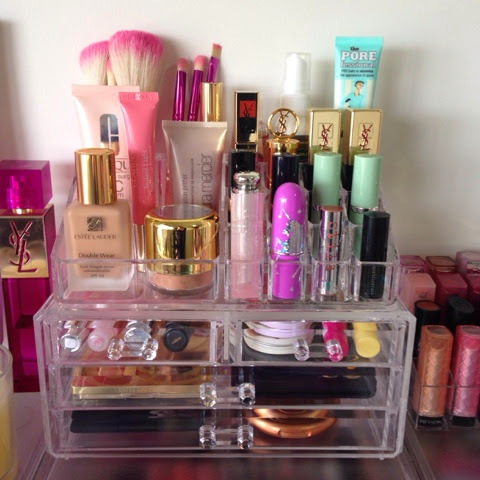 Same as the lipstick holder just search for makeup storage and there will be a few different sorts that pop up. 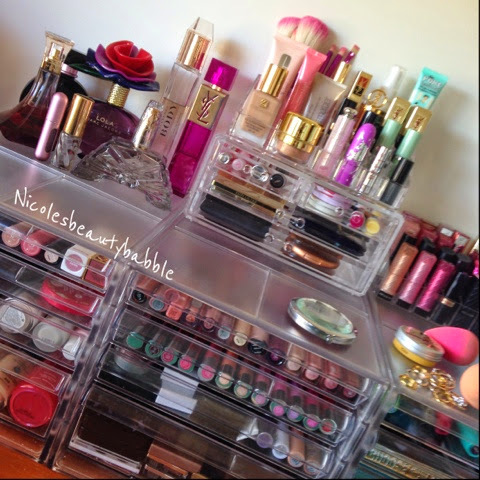 If you want to see more photos of my makeup storage check out my Instagram (nicolesbeautybabble). Any questions please feel free to leave a comment below. Hi I'm Nicole a 20 something Australian blogger from sunny QLD, blogging about all things beauty & lifestyle.